Building Collector: Breaking Building News! "French police have seized 20 tons of miniature Eiffel Towers as part of a crackdown on the souvenirs which are offered illegally to tourists at visitor hotspots around Paris, security sources told AFP. 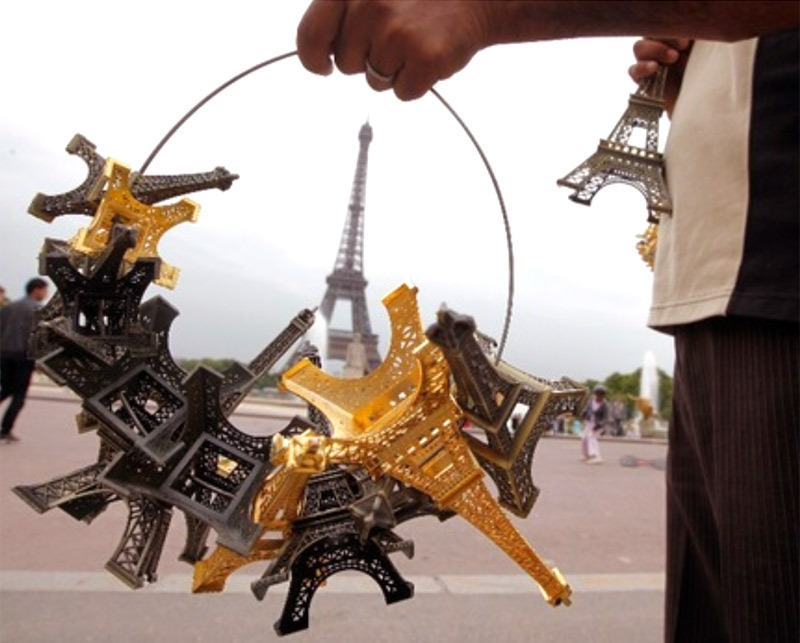 The small metal trinkets are sold for as little as five for one euro at places such as the Louvre museum or outside the real Eiffel Tower, usually by African migrants who play a game of cat-and-mouse with police. A joint investigation involving French immigration authorities led to raids on three Chinese wholesalers who are suspected of importing the towers and supplying a network of vendors in Paris. More than 1,000 boxes, containing in total 20 tons of miniature Eiffel Towers, were seized from two depots and three shops in the Paris region on Monday and Tuesday, a security source told AFP, confirming a report in Le Parisien newspaper. Nine people have been arrested." Thanks to David W. who alerted me to this news. Twenty tons of souvenirs buildings may be headed to the trash compactor. You might think that’s a lot, but after doing some digging I discovered in the year 2013, over 60 tons were confiscated and back in 2011 it was 270 tons! Have you ever purchased a souvenir from a street seller?